Junior High Wilderness Week is designed for campers interested in a camp week with an emphasis on outdoor fun and learning. This week provides rising 6th through 9th graders a chance to broaden their understanding and appreciation of God's creation through a week of adventure in the mountains of Western North Carolina. Campers will stay in our open-air Creekside and Mudgeville Cabins. They will enjoy a full camp week of Ridge Haven activities such as paintball, archery, bubble soccer, and climbing/rappelling. Most importantly, they will enjoy solid Biblical teaching and wonderful times of worship each day. 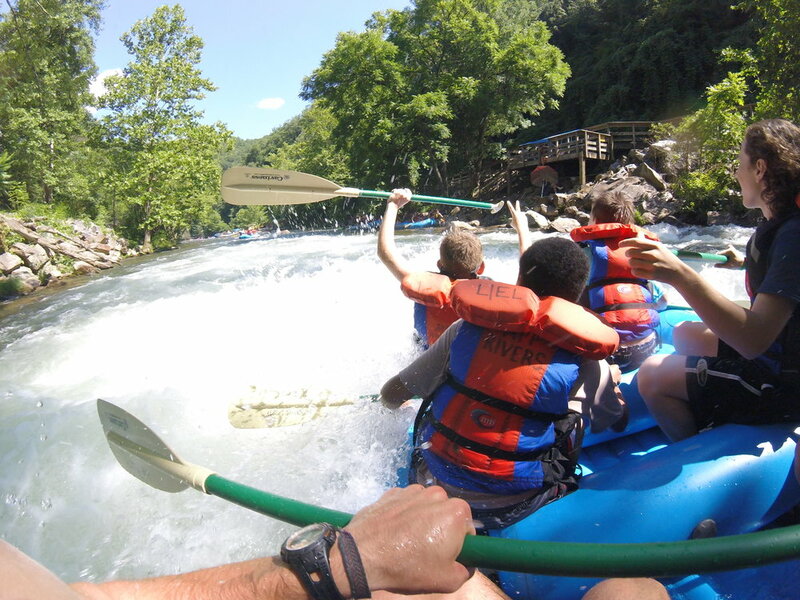 Unique to Junior High Wilderness Week, campers will experience multiple off-site adventures that can include tubing, white water rafting, and local Brevard hiking and attractions. Junior High Wilderness campers will also spend one night at Ridge Haven's Wilderness Campsite (weather permitting)! Junior High Wilderness campers can also attend Service Project Camp and Junior High Camps! Want to see what a camp at Ridge Haven is like? For questions regarding Junior High Wildnerness Camp, call us at 828-862-3916.